Spectrum Station preschool classrooms consist of children three and four years old. Teachers in our program understand that each student develops at his or her own pace and during the preschool years. Multi-aged group settings allow younger children to learn at their own pace and benefit from the mentoring of older children. Our teachers work with students according to their level of development. Spectrum Station believes that children construct their own learning experiences through interactions with their environment and the people around them. “Passport to Learning” presents children with theme-based learning experiences and activities developed with specifically outlined developmental goals from the Missouri Department of Education. Our preschool classes have structured daily routines/schedules to continue the predictable environment started in our younger age groups. Our classrooms are arranged into “discovery centers”, which allow children to explore and experience new theme-based learning materials each day. “Discovery centers” also offer children opportunities to learn about social interaction, problem solving, and appropriate behavior. Small group activities enable our teachers to work toward specific developmental goals, such as scissor cutting or writing (fine motor skills) or math concepts (counting) individually with children. 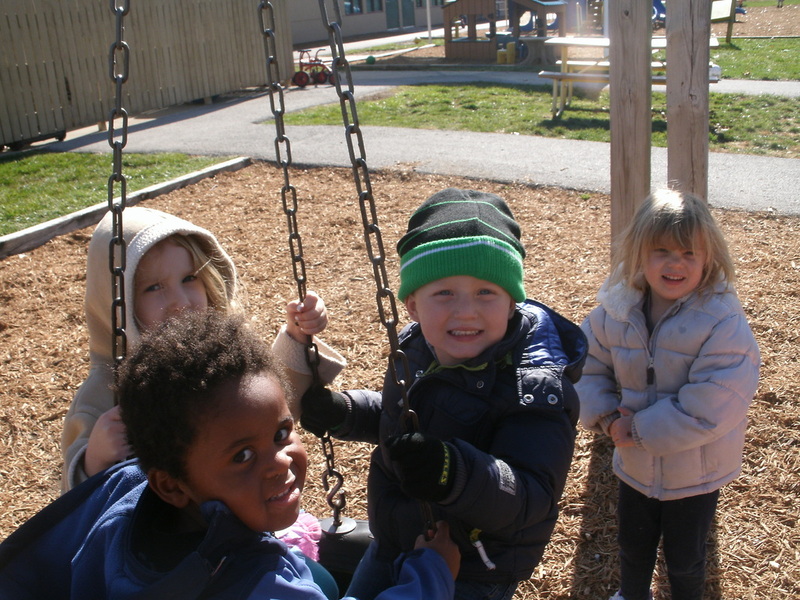 Our spacious preschool playground contains age-appropriate equipment designed just for preschoolers. Spectrum Station recognizes the need for early education for all children, whether a family needs all day care or just wants a quality early learning program for their child. Our part-day preschool/prekindergarten programs are 8:30-12:00 and are available two, three, or five days per week. These programs offer all of the same wonderful learning experiences as our regular programs and include a snack and lunch.